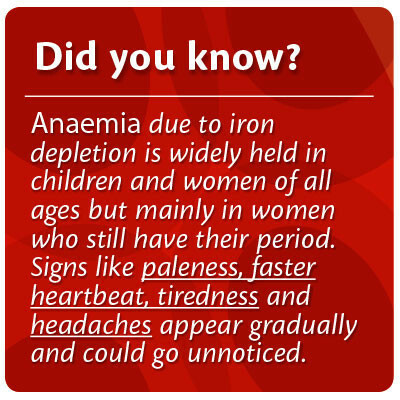 Anaemia is a common and potentially dangerous condition of the blood brought about when the body does not produce enough red blood cells. You should do this test if you think you may be anaemic. You don’t have as much energy as you used to. Anaemia is a reduced level of haemoglobin in the blood. Haemoglobin, (contained in the red blood cells) obtains oxygen from the lungs and carries it to all the bodys’ cells. Here it is used as fuel in the metabolism of sugar and fat to produce energy, so, when the level of oxygen in the blood is reduced, tiredness and other symptoms of anaemia result. To produce red blood cells, the body needs (among other things) iron, vitamin B12 and folic acid. If there is a lack of one or more of these ingredients, anaemia will develop. What symptoms does anaemia cause? Palpitations (awareness of the heartbeat). If anaemia is severe, angina chest pain), headaches and leg pains can occur. Comparison between methods showed the anaemia metre has an accuracy of over 96% and is more than 97% specific for identifying anaemia as identified by a low haemoglobin level. Both the accuracy and specificity of the anaemia metre compare favourably with laboratory based tests. 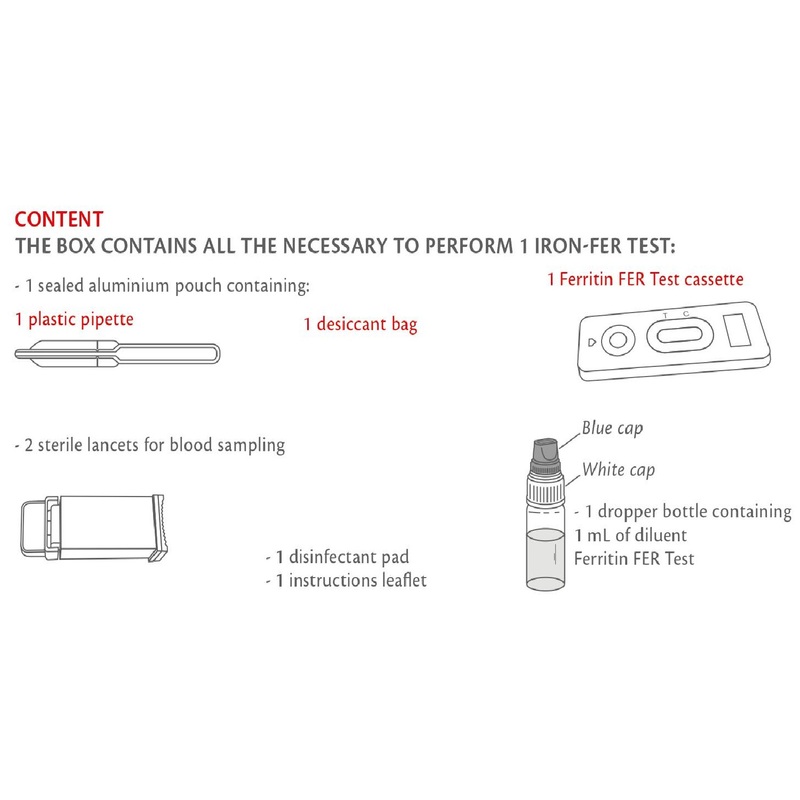 The Iron Test – FER is a rapid immunodiagnostic test for the assessment of ferritin (a protein capable of storing iron in cells) from finger prick whole blood sample. 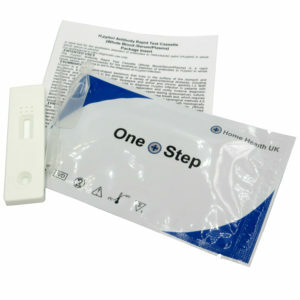 Therefore the Test can be used for the screening of potential iron deficiency. 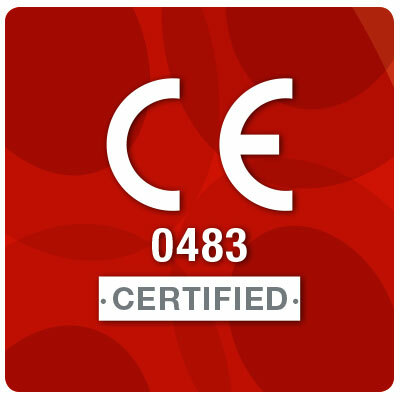 The cut-off is calibrated at 20 ng/mL according to the international standard. The sample is a blood drop taken with the painless sterile lancet contained in the box. 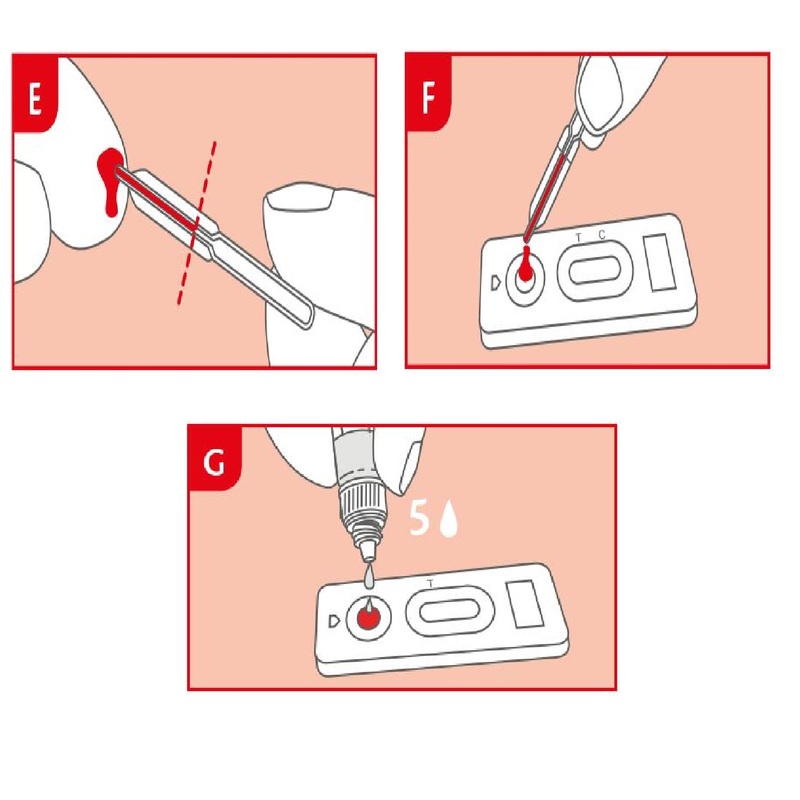 Obtain a drop of blood by squeezing the finger and use the capillary tube to collect the blood. 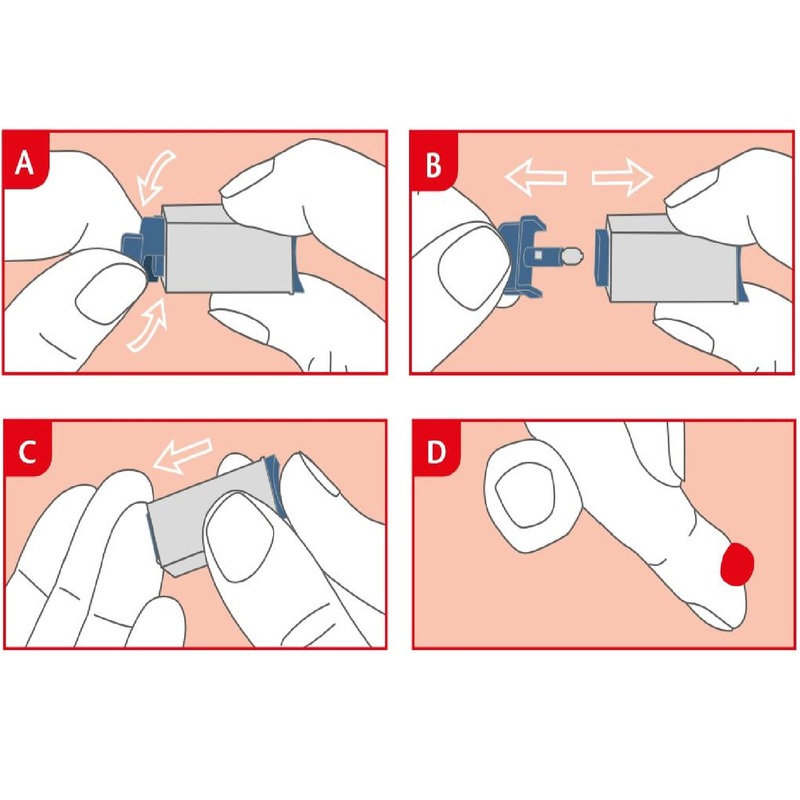 Put the drop of blood on the indicated point on the device. Add the diluent, wait for 10 minutes and read the result. Two coloured lines appear in the window under the marks T (Test) and C (Control). The intensity of the line T may be clearer than the intensity of the line C. This result means that the ferritin concentration in blood is normal and that there is no potential iron deficiency. Only one coloured line appears under the C mark (Control). This result means that the ferritin concentration in blood is too low. Reserves are insufficient. You should consult a doctor because it may be an iron deficiency. 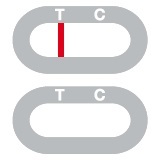 No line appears or a coloured line appears under the mark T (Test) without any line under the mark C (Control). In this case, it is not possible to interpret the test, which must be considered as non valid. 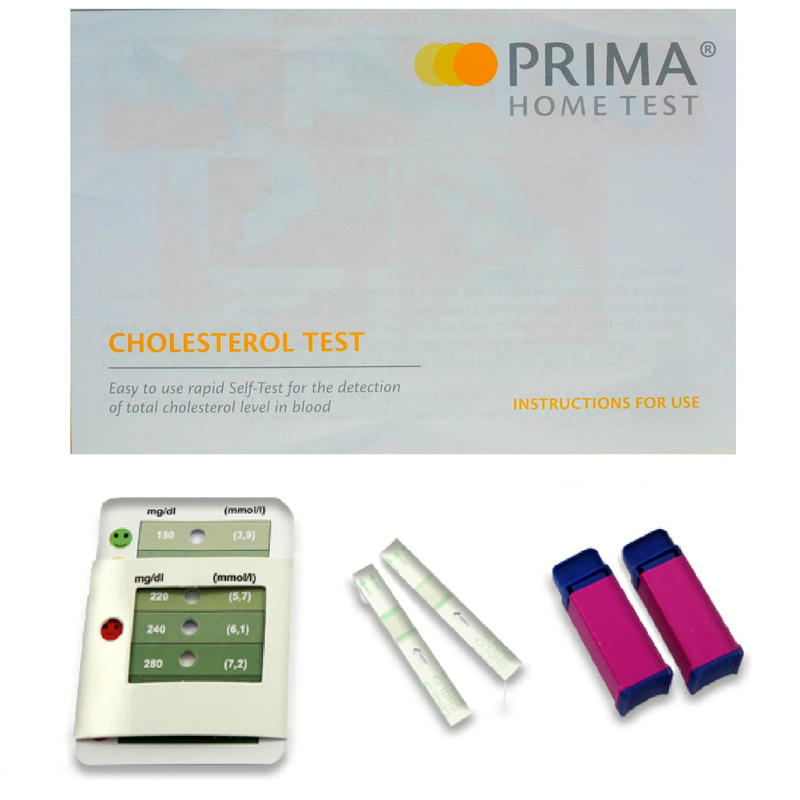 It is recommended to repeat the test with a new test device and a new blood sample. How does the Iron test work? Ferritin is a protein and the primary form of iron stored inside cells. A positive result means that the ferritin concentration in blood is lower than 20 ng/mL and a possible iron deficiency. The Iron Test – FER can be performed in case of symptoms like paleness, feeling tired, headaches, faster heartbeat or shortness of breath during exercise; mainly, if woman, when pregnant or in case of copious periods. The test can be performed anytime of the day but must not be performed in case of disease, acute inflammations or in case of spleen or liver injury. Positive results can be obtained even in case of no iron deficiency situation. The results are accurate as far as the instructions are carefully respected. Nevertheless, the result can be incorrect if the test gets wet before test performing or if the quantity of blood dispensed in the sample well is not sufficient, or if the number of diluent drops are less than 4 or more than 5. The plastic pipette provided in the box allows making sure the collected blood volume is correct. The colour and intensity of the lines have no importance for result interpretation. The lines should only be homogeneous and clearly visible. 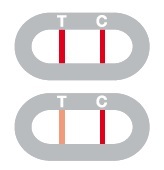 The test should be considered as positive whatever the colour intensity of the test line is. What is the line that appears under the Mark C (Control) for? When this line appears, it only means that the test was performing well. If I read the result after 15 minutes, will the result be reliable? No. The result should be read within 10 minutes after adding the diluent. The result is reliable up to 15 minutes. What do I have to do if the result is positive? If the result is positive, it means that the ferritin level is lower than the norm (20 ng/mL) and that you should consult the doctor to show the test result. Then, the doctor will decide whether additional analysis should be performed. What do I have to do if the result is negative? If the result is negative, it means that the ferritin level is higher than 20 ng/mL and is within the norm. However, if the symptoms persist, it is recommended to consult a doctor. What is the accuracy of the Iron Test? The Ferritin test is very accurate and has been used for more than 10 years by professionals in the field. Evaluation reports show an overall agreement of at least 98% with reference methods.